LADIES OF LONDON, LISTEN UP! 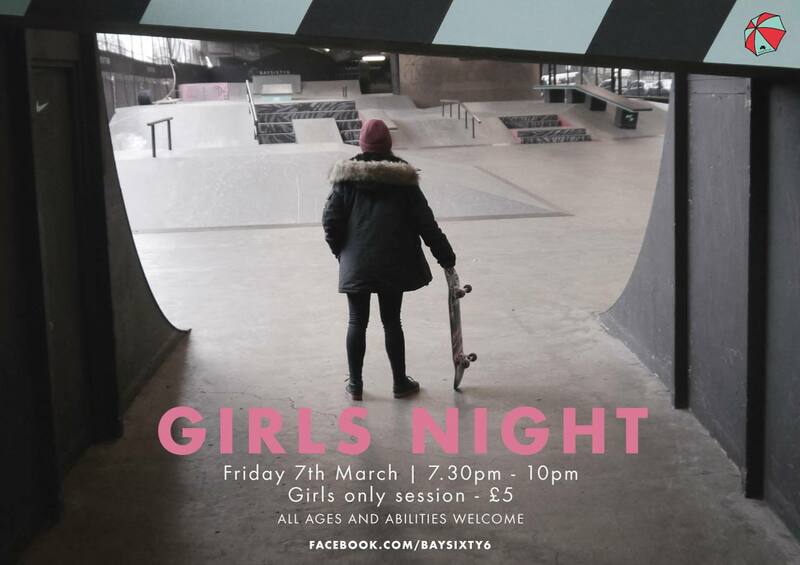 There will be a girls only skate session at Bay66 Skate park in London THIS FRIDAY 7th March. 7:30pm – 10:30pm, £5. It’s a rad park with plenty to do so go skate, have a chat and meet some new friends! All ages and abilities welcome, go get involved!